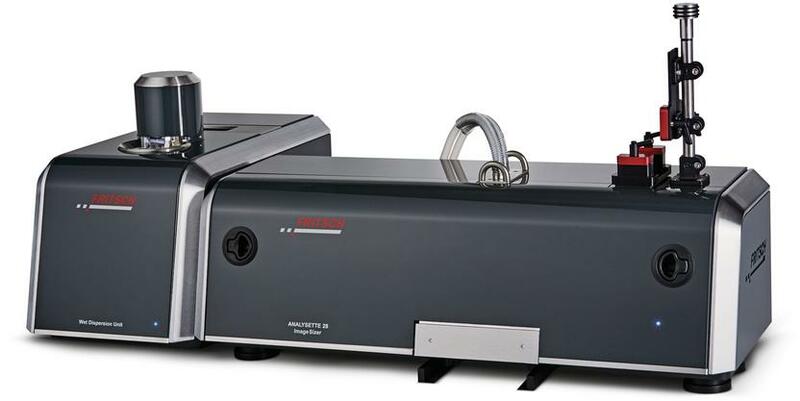 The FRITSCH ANALYSETTE 28 ImageSizer for dry and wet measurement is the ideal Particle Sizer for all applications that require accurate and reproducible measuring results for both particle shape and size. 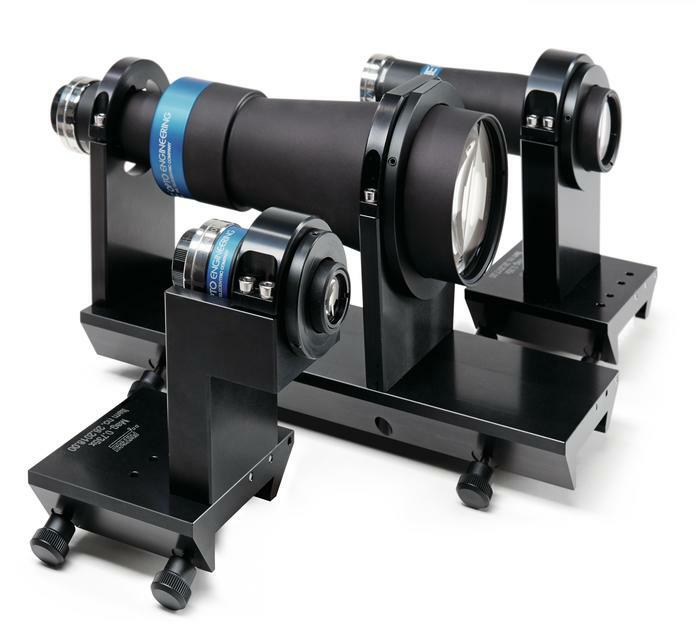 The optical process of Dynamic Image Analysis provides results for a wide measuring range, delivers multiple shape parameters and evaluation possibilities for particle size. 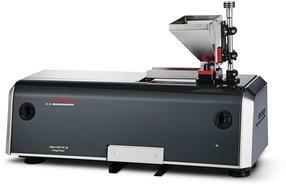 The measuring time depending on the sample quantity, is under 5 minutes. And the result is available immediately. Fast, safe, easy. Your advantage: Great flexibility for different measurement tasks for particle sizes of 20 µm – 20 mm in quality control, research and laboratory – and is a very easy and cost-effective alternative to sieving. The ANALYSETTE 28 ImageSizer is in combination with the corresponding wet dispersion unit ideal for measurement of particle shape and size of suspensions and emulsions. Wet dispersion is particularly suitable for fine particles, poorly flowing, fine-agglomerating or sticky materials, which do not react in water or other liquids. 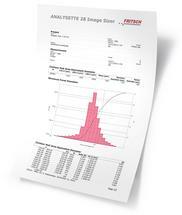 The ANALYSETTE 28 ImageSizer is the ideal Particle Sizer for fast analysis of particle shape and size of dry, free-flowing materials. Via the optical analysis of the particle shape and particle size, you can identify damaged particles, contaminates, agglomerates or oversized and undersized particles accurately and fast and view them completely uncomplicated in single images. 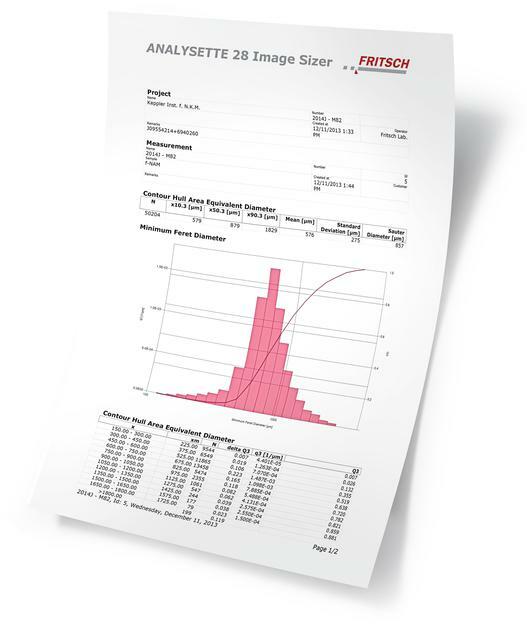 The evaluation of the measuring results is uniquely simple with the ANALYSETTE 28 ImageSizer. 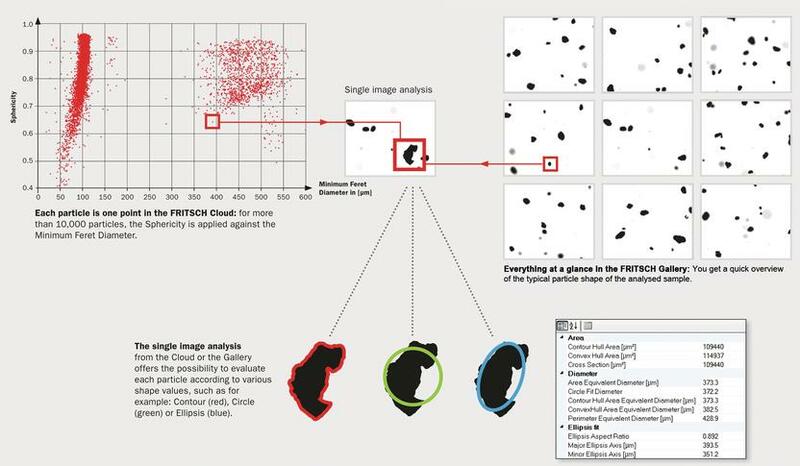 The evaluation software ISS displays each recorded particle clearly as a data point in the immediately available FRITSCH Cloud as well as in the FRITSCH Gallery. You freely choose which statement is of interest to you: for example the Sphericity in regards to the Minimum Feret Diameter, the aspect ratio, applied on the porosity, or the convexity as a function of the particle Cross Section. Or display the particle size distribution as a cumulative curve, as a bar chart or in a table form. 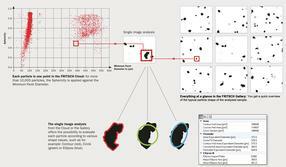 Test the FRITSCH Particle Sizers! Send us your sample for an individual sample measurement – we will send you a detailed analysis protocol. Compare for yourself!